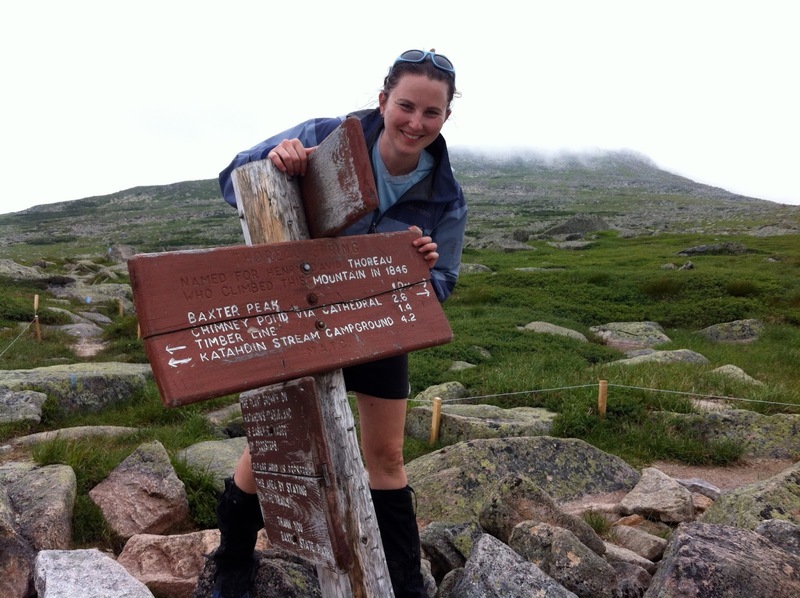 I have been awarded a David H. Smith Fellowship from the Society of Conservation Biology for two years of postdoctoral research on the paleoecology of alpine and subalpine vegetation in Maine. Caitlin on Katahdin in Baxter State Park, Maine. Caitlin will be studying the history of alpine vegetation communities like this from a very long term (10,000 year!) perspective as a Smith Fellow. Under the mentorship of Dr. Jacquelyn Gill at University of Maine and Dr. Abe Miller-Rushing at Acadia National Park, I'll be coring ponds at treeline and counting pollen grains to understand how plant communities responded to past climatic changes over the Holocene. I will use the results to predict how Maine’s alpine plants will respond to future climate change, and make recommendations for the conservation of endangered species. In Berlin, Birgit Nordt and I planned future projects monitoring phenology at botanical gardens. 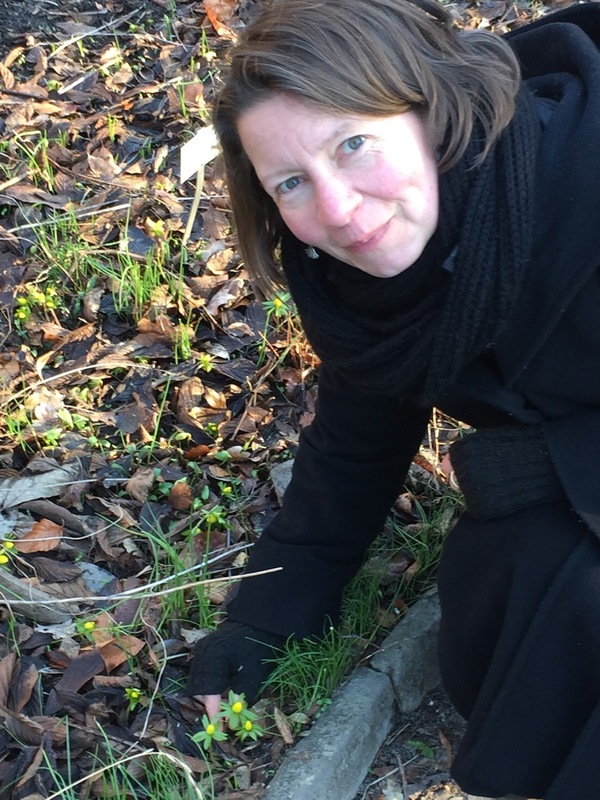 Above, Birgit points out extremely early flowers of winter aconite on the grounds of the Berlin Botanical Garden. 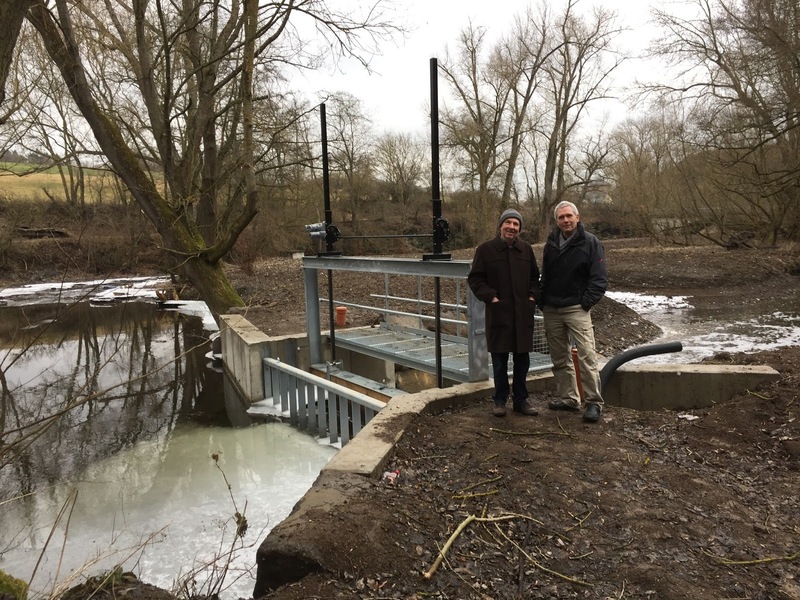 Outside of Koblenz, my old friends Sebastian Kelbling and Jurgen Dumont stand near a gate that diverts water from a small river into a spillway that powers an electrical generator. Jurgen’s family has owned the mill and surrounding land for many generations, and now makes money selling electricity and providing nature education programs. 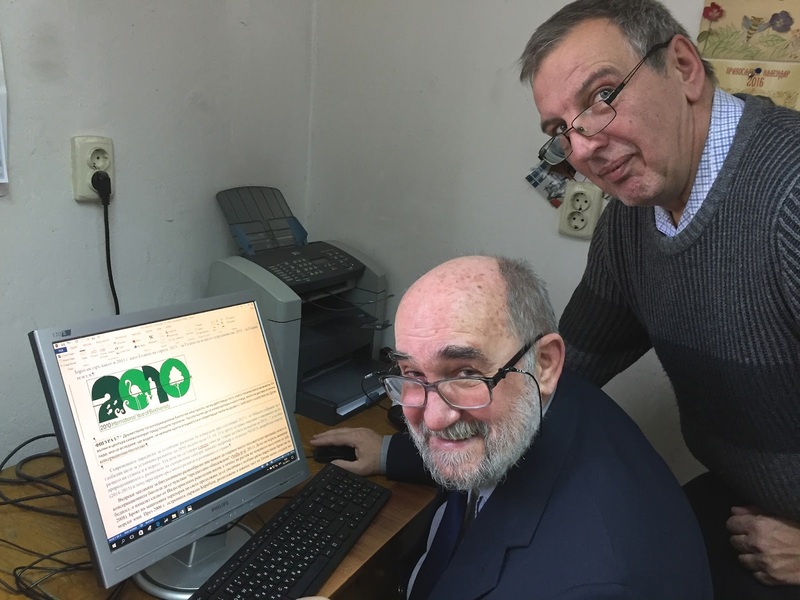 Yordan Uzunov and Boyko Georgiev from the Bulgarian Academy of Sciences are working with me to produce a conservation biology book for Bulgaria. During my three day visit, they provided a wonderful introduction to Sophia and the country. 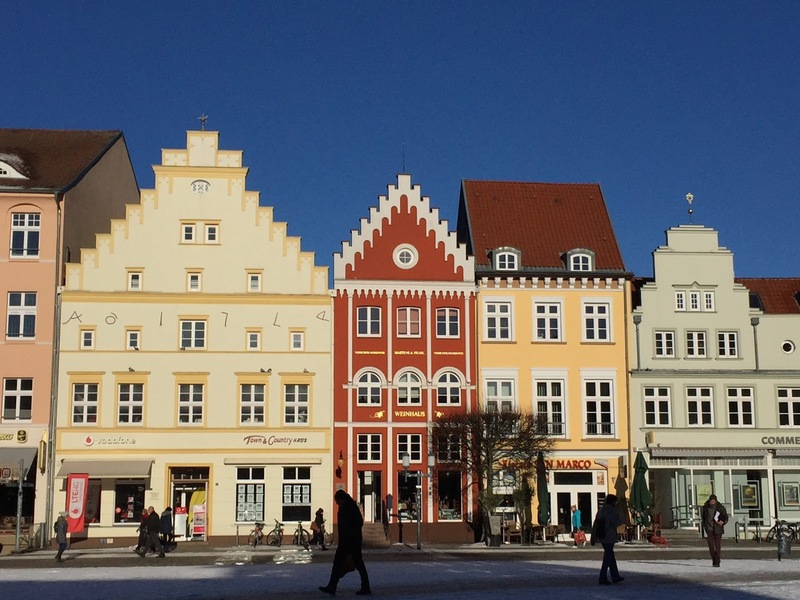 The first stop of my three week trip was at the University of Greifswald in northeastern Germany. The University was founded in 1456, and the town has a beautiful market square. My hosts were Jurgen Kreyling and Andrey Malyshev. Just outside of Greifswald is an experiment that reduces snow levels using a roofing system to simulate a future climate scenario. In contrast, Pam Templer’s group reduces snow cover with shovels. Which method is better? It turns out that each method is best for its own location: roofs are better when the snow is shallow (Greifswald), and shovels are best when the snow is deep (New Hampshire). Another trip was made to the Friedrich-Schiller University in Jena, where I stayed at the Black Bear Hotel that Martin Luther had also visited 500 years earlier. There is a famous biodiversity experiment on the outskirts of Jena, which shows that increasing the number of plant species in a plot increases the ecosystem services and productivity of the plot. 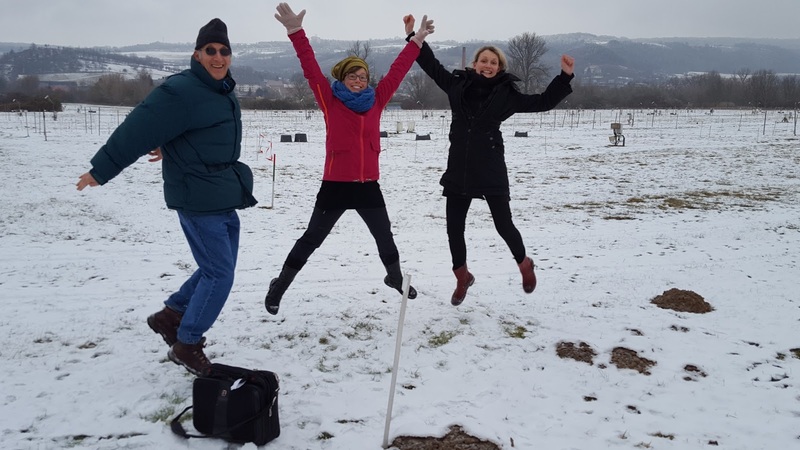 Most researchers visit the experiment in the growing season, but we jumped for joy at the chance to go on a winter field trip. I learned that the site has to be frequently weeded each year to prevent succession to woody vegetation, and to prevent invasion by other herbaceous species that were not planted. So, the long-term results are partially an artifact of the plots being very aggressively managed. Without this management, the results would be totally different. Hong Kong: Life Finds a Way! In January I traveled to Hong Kong, the city in which I grew up. Every time I return, something new strikes me about the city. For instance, my last visit, five years ago, was my first time returning as a birder, and I was delighted to see even common birds like the Black-collared Starling. On this visit, I was struck by how much plant life is able to grow in Hong Kong's urban habitat. For instance, one of the regions of Hong Kong with the highest air pollution is the Central/Western district, where we saw banyan trees growing along the roadside. Since the 1970's a common landslide prevention technique in Hong Kong has been to cover hillsides with concrete. However, in some areas such as the Tai Tam Reservoir, plants have grown atop or through the concrete. 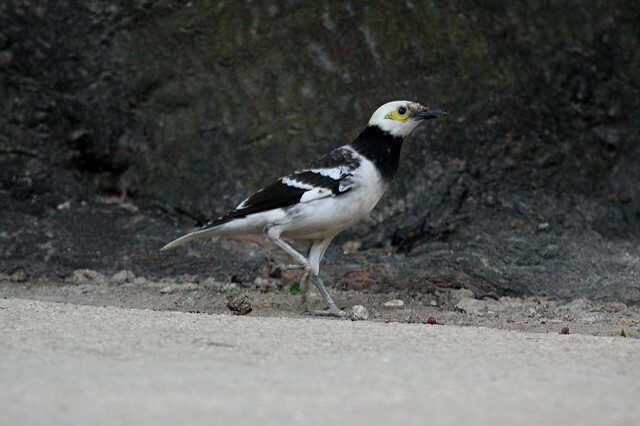 Incidentally, this has resulted in some of the best birding in Hong Kong!